Nope. I am broke this year, my new year is filled with old stuff. Chinese likes to say, "old stuff don't go, new one won't come" 旧的不去 新的不来. So I was doing housekeeping in my "gadget store room" during this 2-week long leave. 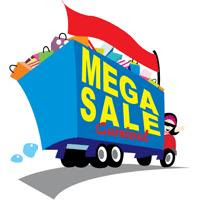 It's also a preparation for a mega change soon or later, at the same time may be it can attract some potential buyers to look for some old stuff, so here comes the Jacko's Mega Sale! Yeah. 2 of them (actually 3). One for my bro and one for cousin, the other for myself. The voice recorder and a mini phone. The 1st gen of PS2 Microsoft mouse and keyboard and HP USB keyboard at the back. Do you still use this? LoL. Nay, don't be fooled by me. Hehe... they are SD RAM, the big player before DDR. I have 19 sticks. Unless something goes wrong when they idle in the storeroom, all of them should still be working from my last test before I kept them into the store with proper silica gels. 5 DDS2 and 10 brand new unused Ultrium 1 200GB tapes. Normal home PC users wouldn't see such things as these tapes aren't cheap. Ultrium 1 cost RM450 per cartridge in the past if I remember correctly. Why I have all these? I forgot. Hehe... I guess I got them from some vendor functions, or I asked the vendors to give me some test units in my past job, or from my bro. The Creative's 4 point surround speakers. Is the company still exist? This oldie still working well though. The Cisco 2500 series router. I used this for my self learning on Cisco networking. The old PC powered by AMD K62 450MHz CPU! It's still operational! My test machine for Microsoft certification when VMWare and Virtual PC were still new to me. The surge protector, multi-charger, SIM card backup and the soldering tool. Yeah, I repaired some PC stuff using that. My Wind, Linksys WAG54G2 wireless router and Archos AV500 DVR. p/s: not all items are for sale. Pac Man Ghost in Real Life!